There was a time when the best way to improve the performance of a stock exhaust system was to remove it from a car altogether, but sadly, that option is no longer available. Today, the law requires that all vehicles be fitted with exhaust systems that clean up the exhaust streams they emit, and that they do so silently. However, the way stock exhaust systems do these things robs modern engines of power, while using more fuel than is required to develop the power that they do. The fact is that car makers spend more time tweaking the position of side-view mirrors than they do developing ways to increase the performance of their exhaust systems. Fortunately there are several ways that you can do this yourself, and without breaking the bank too. How? Read on, we’ll tell you how to gain horsepower, use less fuel, and increase your car’s resale value, simply by choosing an improved exhaust system for your car. However, before you rush out to get an improved exhaust, you need to know why you need it, so let us look at how a stock exhaust system works. Amazon – You may be surprised to hear Amazon has a good selection of exhaust systems. They make it super easy! 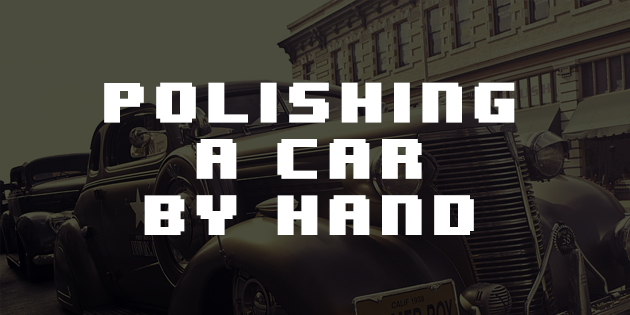 All you have to do is plug in your make and model of car, and bam! You will see all of the compatible exhaust systems. eBay – Great if you are looking for a good deal or a rare part, eBay makes automotive shopping easier than ever. You may think that the pistons in the engine push the exhaust gas all the way out of the system, but that is only partially true. What happens is that as the exhaust gas exits the cylinder, it enters the exhaust manifold, where it forms a kind of “plug” in the system. This plug of gas possesses a certain amount of kinetic energy, and as it moves through the system, it creates a small low-pressure area behind it, making room for the next plug of gas from the next cylinder. In this manner, the exhaust stream is dived into a series of high-pressure pulses, with smaller low pressure areas between them. Thus, as the gas flows through the pipe, a high pressure pulse literally drags a low pressure area behind it, thereby creating space for the next high pressure pulse to repeat the process, until the engine is shut down. This process is called “scavenging”, since the exhaust stream is “pulled” out of the system, rather than being pushed out by the action of the pistons. So what is the problem, why are stock exhaust systems so inefficient seeing that they work as designed? The answers to this is very complex, but suffice to say that the design of stock exhaust systems leaves a lot to be desired. How well the scavenging process works in any given exhaust system depends entirely on three closely related factors, i.e., the length of the tubes in the system, the diameter of the tubes, and the nature (and number) of restrictions in the system. Let us look at each of these a little closer. If the system is too long, the separation between high and low pressure area in the tube can be degraded to the point where the entire length of the tube becomes a high pressure area. When this happens, the scavenging process stops altogether, which raises the pressure in the system to the point where the engine cannot get rid of the exhaust gas. The diameter of the tubes in the system is even more important than the length, since it is the tube diameter that determines how fast the exhaust stream can move through the system. While stock systems are big enough to keep the exhaust stream moving, they are usually to narrow to allow for increases in the gas flow that result from even minor tuning changes. However, increasing the tube diameter beyond a certain point also causes the scavenging process to break down. The bigger the tube becomes, the more the gas slows down, almost like the water flow in a river slows down the wider the river gets. It must be borne in mind that car makers are more concerned with cost containment than making high performance exhaust systems, which is why they make them as cheaply as possible. For instance, the methods used by car makers to bend exhaust tubing decreases the pipe diameter in the bend. This causes a restriction in the pipe that can seriously affect the scavenging process, since the gas pulses pile up upstream of the restriction, just like traffic piles up when a freeway narrows down from three lanes to one. The inevitable result is that stock exhaust systems have a choking effect on how a modern engine breathes. However, this is easy to fix by fitting an exhaust system that eliminates the choking effects, but there is more to it than merely replacing the exhaust system. 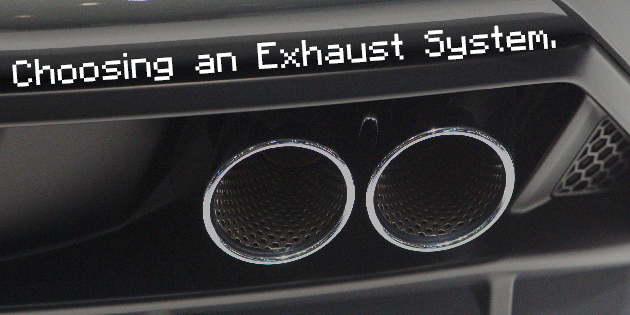 So, how does one choose a proper exhaust system? The first thing to bear in mind is that all cars can benefit from a high performance aftermarket exhaust system- from a fire-breathing hotrod, to your sedate daily driver. Depending on the design, and of course the application, it is possible to realize power increases of up to 15%, and decreases in fuel consumption of around 3-, to 5%, all without doing anything to the engine internals. The trick is of course to know what will work for your particular application and what will not work, so let us look at the various components that make up a performance exhaust system. Headers are just exhaust manifolds, but there is plenty of room for mistakes when it comes to choosing a header for your engine. The biggest difference between a header and a stock manifold is that the header consists of a base plate, to which exhaust tubes are welded in such a way that each cylinder is provided with its own, dedicated exhaust tube. In a good quality header, the pipes will all be exactly the same length, even if it means that the assembly looks more like a bowl of spaghetti than an exhaust component. Moreover, the pipes will be arranged in such a way at the point where they join the down pipe that the firing order will not allow a pressure build up. It is also important to use headers that are mandrel-bent. This method of bending involves inserting a flexible rod into the pipe prior to bending to preserve the pipe diameter over its entire length. In some applications, the pipes in a header can be so effective that unburnt fuel and air can be scavenged out of the inlet manifold though the valves of adjacent cylinders. This type of header is called a “scavenging header”, and where they are fitted to vehicles where they work too well, they can cause dramatic power decreases. Similarly, if the tubes in the header are too short, the scavenging effect might be too small, which can have serious negative effects on the exhaust system as a whole. Fortunately though, many developers of performance exhausts have done all the math and physics already, and any reputable manufacturer or supplier will advise you on the type of header you need to get the best from your engine. As the name suggests, a down pipe is a piece of tubing that connects the header to the rest of the exhaust system. As with all other exhaust tubing, the down pipe must be mandrel-bent to avoid restrictions, and it must have the same diameter as the header outlet and the rest of the tubing. The downpipe must also have a bung to accept the oxygen sensor in the same position, or as close as possible to the same position it is in the original pipe. Oxygen sensors play a critical role in how well the ECU (Electronic Control Unit) manages the engine, meaning that placing the oxygen sensor in the wrong position could cause inaccurate readings, and poor engine management. Catalytic converters are restrictive by virtue of their design. 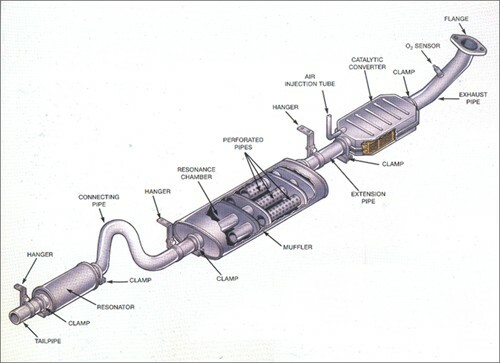 In simple terms, a catalytic converter contains one or more honey-comb structures that are coated with various precious metals that react with the exhaust gas. This reaction converts most of the harmful substances in the exhaust stream to less harmful substances, such as carbon dioxide and water. Since catalytic converters are legally required on all modern vehicles, several performance exhaust developers have developed converters that are less restrictive, but the down side of this is that these converters are very expensive. However, by improving the rest of the exhaust system, a large percentage of the power loss caused by the converter can be recovered. The tradeoffs between a less restrictive catalytic converter and more power come down to simple economics, and the reason for the exhaust upgrade. For instance, there is little point in spending several thousand dollars on a high performance catalytic converter if it is going to be used on a sedate daily driver. The cost of the converter alone can be several times that of the entire exhaust upgrade, but its cost may be justified in other circumstances. For instance, if you need a custom-designed exhaust system for a highly modified engine, a high performance catalytic converter becomes a required item. All reputable performance exhaust suppliers will be able to match an exhaust upgrade to a stock catalytic converter, as well as to the amount of exhaust gas produced by a stock engine. Stock mufflers come in a wide variety of shapes, sizes, and designs, but one thing they all have in common is that they restrict the flow of exhaust gas. Some designs are more restrictive than others, but the general rule is that the more a muffler deadens the sound of the exhaust, the more restrictive it is. However, stock mufflers are more than sound-deadening devices; they are designed to maintain a specific pressure, called “back-pressure” in the system in order to maintain the scavenging process. For this reason, it is not possible to run an exhaust system without mufflers, even if one disregards the legal requirement that the sound emitted by an exhaust system must fall within certain legal boundaries. Any exhaust upgrade that involves increasing the flow rate through a muffler results in increased noise, since the sound-deadening capacity of the muffler is reduced to allow the exhaust stream to pass through it more freely. This type of muffler is often called a “free-flow” muffler, and while they can produce significant power increases, they are not always legal in all jurisdictions, because of the noise they produce. Choosing the right muffler(s) is more science than art, and what works on one application may not work on another due to the noise factor and other issues, such as back-pressures that are too high or too low. Fortunately though, all reputable performance exhaust system manufacturers have developed bolt-on upgrade kits for almost all applications, which fact takes the guess work out of the muffler question. By purchasing an upgrade kit, all the components are properly matched to each other, which is particularly important for engines that have two cylinder heads. The biggest problem with developing performance exhaust systems for V6 and V8 engines involves the fact that it is very difficult to balance the back-pressure (and the flow rate) between the two halves of the system. In these applications, the system consists of two exhaust manifolds, and two downpipes that are either joined at some point below the vehicle to continue as a single tube to the back of the vehicle. However, due to the design of rear-wheel-drive vehicles, it is impossible to join the two halves of the system at the midline of the vehicle, which means that one side of the system upstream of the joint is longer than the other. This has the result that one side of the engine (the side with the shortest exhaust system) makes more power than the other side, since the exhaust gas on that side is extracted more efficiently. To overcome this problem, high performances exhaust systems on V-engines are provided with a much improved junction between the two halves of the system to both improve gas flow, and to better eliminate the pressure differential in the two halves. In a properly designed high performance exhaust system that uses headers, the location and shape of the connection will almost never be the same as on a stock system. In most cases, the headers will be designed in such a way that the length difference between the two halves upstream of the joint is reduced as much as possible. This goes some way toward reducing the pressure difference, which in turn reduces the pressure build-up at the joint between the two halves. The nett result of this is a vastly improved balance in the pressure and gas flow through the entire length of the exhaust system. In some cases however, the two halves are continued as a double system, but even in these cases, the pressure and gas flow rate through both sides of the system are rarely equal. To correct this problem, one side of the upgraded system may be made a bit shorter or longer, depending on the application, to balance the pressure and flow rate between the two halves of the system. To improve performance, the tubing diameter must be matched to the rest of the system. Larger diameter tubing will almost always result in increased gas flow rates, but only up to a point. As stated before, the diameter of the tubing determines the flow rate, so increasing the tubing diameter too much can slow the gas down, which can choke an engine as effectively as tubing that is too small. To further improve performance, the tubing must be the correct length. This is known as the “tuned length” and if the length calculation is done correctly, the relationship between the length and diameter of the tubing will be “tuned” to the frequency of the high pressure pulses of the exhaust stream. This is almost analogous to the poor sound quality from a radio that is not fully tuned to a station’s frequency, as opposed to a radio that receives a clear, strong signal. The tubing must be free of restrictions. Improper bending of tubing results in a decrease in the diameter at the site of the bend, which may not look like much at first glance, but in reality, this restriction can have dramatic negative effects on the scavenging process. While one imperfect bend may not choke the engine, the effects of several bad bends can add up to as much as a 20-, to 30 % decrease in the tube diameter. There is little point in spending several hundred dollars on an exhaust upgrade if the new installation is going to rust to bits inside of two years. Since you are going to spend money, you may just as well spend a bit more to make sure your new exhaust lasts for at least three to four years, or longer, if you want to keep your upgraded vehicle for a few more years. Here are your choices when it comes to choosing the material for your new exhaust. While this is not the best of all possible choices, it is nevertheless a good choice if you are on a budget. The process of hot-dipping heavy gauge steel tubing and components in liquid aluminum-silicon alloy bonds the coating to the steel to form a permanent, rust-proof coating. This type of coating should be good for at least two years of protection against rust and corrosion. This grade of stainless steel offers a good compromise between affordability and increased strength, durability, and corrosion resistance. Most manufacturers of 409-L stainless steel exhaust systems offer warranties against corrosion of up to 5 years. If money is no object, this should be the material to go for, since it offers unparalleled strength, durability, and up to 10 years or more of protection against rust and corrosion. These systems also look good on any application, but their downside is that they can be twice, or even three times as expensive as systems made from other materials. My friend was telling me that he was thinking about replacing the exhaust system in his car, and I was curious what to look for. It’s interesting that all cars can benefit from a high performance exhaust system. I would have thought that you would need a high end car in order to get the most out of it. I’ve been looking for some good commercial mufflers, and I think that some information would be good for me. I’m glad you talked about mufflers and what material you want for your exhaust upgrade. I’m going to have to look into a few different commercial muffler options, and see what we can find!